Here are the top Tel Aviv monthly events and news from Israel. Tel Aviv is the cultural heart of the country and hosts most of the music, theater, dance and other artistic events. Yes, Jerusalem is the political and religious capital of Israel, and I love visiting that beautiful city, but I am always glad to come down from the lofty peaks of Jerusalem to the secular, relaxed and exciting fun of Tel Aviv on the Mediterranean Sea! Day and night, there are always fun things to do here. Here is a month by month listing of the best Tel Aviv events and news from Israel. 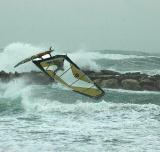 January is typically the coldest and rainiest month of the year in Tel Aviv, but it’s still full of fun. 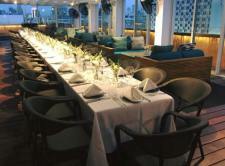 On the New Year, many Tel Aviv restaurants and clubs celebrate with festive meals and parties. The Israeli fashion Expo takes place every January at the city’s main convention center, Ganei HaTa’arucha. 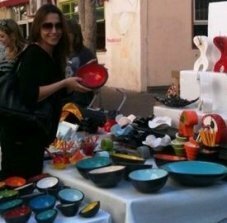 You can browse aand buy Israel designers' cool local fashion and accessories at superb discounts. For more about Israeli fashion, visit our page on Tel Aviv Shopping. Every February, Israel celebrates Tu-B’Shvat, a minor Jewish holiday celebrating the New Year for Trees, sort of like Arbor Day. Kids plant trees and we celebrate the holiday by eating lots of dried fruit and nuts, which you can see decorating Tel Aviv’s shop windows and restaurants. The Tel Aviv Jazz Festival takes place every year in February with multiple performances by local and well known jazz musicians from around the world. Israel’s annual wine exhibition, IsraWinExpo, runs every February at Tel Aviv’s Convention center, Ganei HaTa’arucha. Ancient Israel was a major wine consumer and exporter. In the past 25 years, this tradition has been revitalized and hundreds of quality boutique wineries have sprung up in Israel, alongside the several large local wineries. In March, spring is in the air in Tel Aviv! The Jewish holiday of Purim, sometimes called the ‘Jewish Halloween’ falls in March. Kids and grownups everywhere wear costumes and exchange gifts, called “mishloah manot’ of traditional ‘triangle’ pastries and snacks. Don’t miss the roaring Tel Aviv nightlife in Purim. Believe it or not, religious Jewish law encourages getting drunk on Purim and Tel Avivians are happy to comply! Many clubs and bars hold masquerade parties and the scene is fun and pretty wild! In March, Tel Aviv’s Irish pubs like Molly Bloom, Temple Bar and even American pub Mike’s Place celebrate St. Patrick’s day. The annual Tel Aviv Marathon takes place every March. Tens of thousands of athletes from all over the world run along the city’s streets and beach promenade, cheered on by hundreds of thousands of locals and tourists. April is a festive holiday month in all of Israel. Both Passover (Pesach) and Israel Independence Day (Yom Ha'Atzmaut) usually occur in April. The actual dates vary based on the Jewish lunar calendar. Schools close for a while and families enjoy long vacations. 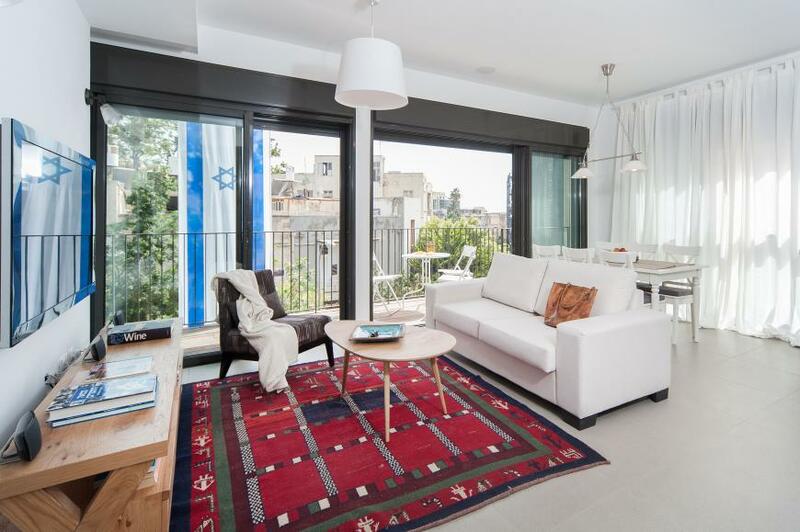 Telavivians flock to the beaches and streets of the city and there are plenty of celebrations and things to do every day: art, music, dance performances and lots of events just for kids. 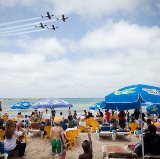 On Independence Day, in addition to fireworks and outdoor performances, the Israeli Air Force puts on an impressive aeronautics display along Tel Aviv beaches. Independence day could also be called national barbecue ‘mangal’ day as groups of families and friends meet on any available piece of grass to grill their kebabs, chicken pieces and lamb chops. In April, Holocaust Remembrance Day and Memorial Day are Israel’s most solemn days of the year. Restaurants and entertainment places are closed. Most Israeli families have lost loved ones in either the Holocaust and/or in one of Israel’s many wars. If you are in Israel during this time, you will see an amazing sight. The entire country stops in mid-track during the remembrance sirens. In the offices, streets and even in the middle of the roads, people stop driving and get out of their car to stand with the rest of the nation and respect the memory of the fallen. As the summer approaches in May, the days in Tel Aviv are getting hotter but the evenings are still pleasantly cool. On Lag BaOmer, a minor Jewish holiday, bonfires are lit all over Israel and Tel Aviv gets pretty smoky! Later in May, Tel Aviv streets, parks and beaches are full of Telavivians celebrating Shavuot or Pentecost , a two day Jewish holiday. Many people wear white clothes and Tel Aviv restaurants celebrate with special cheese and dairy dishes that are traditionally served on Shavuot. Fresh Paint, Israel’s Contemporary Art Fair takes place every May in Tel Aviv. If you like Art, Fresh Art is an ideal way to enjoy the local vibrant art scene. DocAviv in May is Israel's annual, two week international documentary film festival which takes place at the Cinematheque in Tel Aviv. Every June, Tel Aviv celebrates the summer season with loads of annual events! The annual Gay Pride and Love Parade takes place every June. Tel Aviv night life is always hot, but on this week, it gets raunchier than ever. 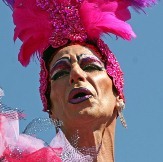 Tel Aviv has been often voted the best gay city worldwide. Tens of thousands of tourists flock here during gay pride week. Read more on our Gay Israel page. I think Tel Aviv’s most special yearly event is White Night at the end of June. Free outdoor music and dance performances take place all over the city and most of Tel Aviv’s cultural centers and museums are open at reduced rates all night long! White Night commemorates the designation by Unesco of Tel Aviv “White City” as a world heritage site based on its lovely white Bauhaus Architecture, the largest collection worldwide. In June, the annual book fair takes place every year all over Israel. In Tel Aviv, the weeklong happening runs every evening in Rabin Square near the city center. The International Students Film Festival runs every June at Tel Aviv’s Cinematheque. 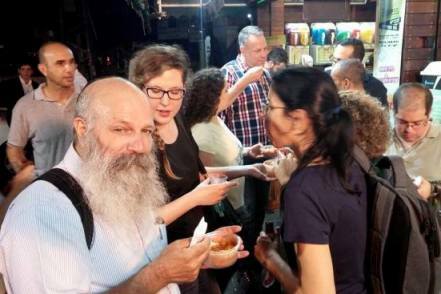 The Yearly Gourmet Food Festival takes place in Hayarkon Park, with about 20 of Tel Aviv’s best restaurants serving some of Israel’s finest gourmet food at reduced rates. Schools out! July is hot and humid and Tel Aviv streets, neighborhoods and beaches are full of vacationing tourists and Israelis. During the day, here are plenty of outdoor activities on the beaches and in the Jaffa and Tel Aviv Ports. Tel Aviv nightlife is seething and international rock, jazz and electronic musicians play all over the city venues. Every July, the Israeli Opera House holds a Free Opera Concert in the Park in Tel Aviv's Ganei Yehoshua, Yarkon Park. Maholohet, Israel’s contemporary dance festival takes place every summer. You can enjoy dozens of dance performances at the Suzanne Dellal Dance Center in Tel Aviv performed by Israel’s best dance companies. August is Tel Aviv’s hottest and most humid month. The best refuge from the heat are the beaches. Restaurants and bars are packed every night until the wee hours of the morning. For two week in August, every evening there are free movie screenings at Banana Beach. You can have a beer or a meal at one of the beach cafes or enjoy the film from your own beach blanket. Maholohet, Israel’s contemporary dance festival continues in August. If you love dance, catch some of the latest works of Israel’s best dance companies. The week-long Oud Festival takes place every year in August in Tel Aviv’s Tzafta. The Oud is an musical instrument of the Middle East and Balkans. Its a great way to learn about traditional music of the region. Besides the music performances, you can enjoy ethnic food, books and more. September is still hot and muggy in Tel Aviv. Kids are back to school, but not for long because September and early October are Jewish holiday months in Israel. Rosh Hashana, the Jewish New Year is a 2 day holiday. Store windows and restaurants are decorated with apples, fruit and honey, symbolizing the wish for a ‘sweet’ year ahead. Lots of special performances celebrate the new year all over Tel Aviv. Yom Kippur, the Day of Atonement takes place in September or early October. About half of Israelis fast on this day, but it is not a sad or somber day in Tel Aviv. 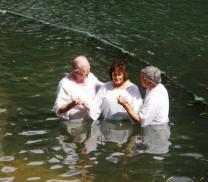 In fact, Yom Kippur in Israel is my favorite day of the year. The entire country goes ‘quiet’. Absolutely everything is closed. (Don’t worry, the hotels run normally and serve meals). 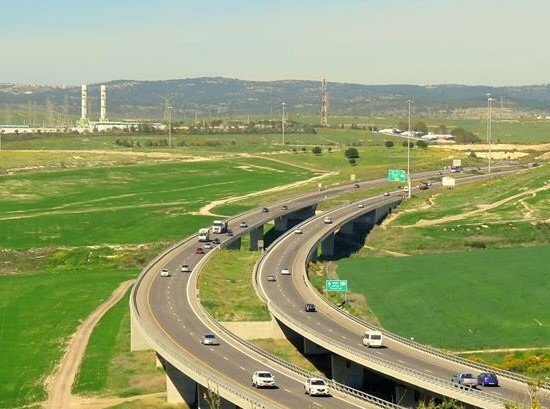 There are no motor vehicles anywhere on the streets and even the highways are empty, except for Israeli kids who bike freely all over and have a ball. 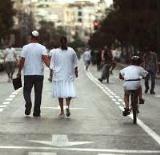 Many people wear white and families stroll along the normally buzzing boulevards. The atmosphere is tranquil. Yom Kippur in Tel Aviv is an experience not to be missed. The Taste Festival of Jaffa takes place during 10 days every September. Jaffa’s restaurants are always a treat but on this week, you can eat out cheaply in Jaffa. Tel Aviv's Jaffa in Israel is a must see, with its unique atmosphere, winding alleys and picturesque buildings. October still feels like summer in Tel Aviv, but it’s a lot less stifling and humid. Kids are on vacation for another full week on Sukkot, or Tabernacles. Since most families take vacation, Tel Aviv streets and neighborhoods are full of events and activities, day and night. One of the most interesting events every October is Icon, the Science Fiction, Fantasy and Role-playing Festival. It’s a huge multi-day celebration that includes screenings, contests, shows, booths, and more. In November, you might still get away with short-sleeves during the day, but Tel Aviv nights are chillier and there may be some autumn showers. 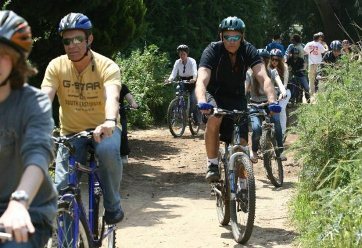 November is a great month for outdoor activities anywhere in Tel Aviv and especially in Yarkon Park. 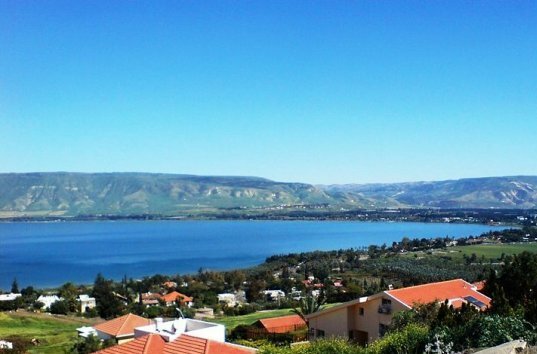 The weather is perfect for biking, rowing on the Yarkon river or walking along the park trails. And the surfing season really gets going. You can surf in Israel all year round, but the waves and wind conditions are best in the winter between November and March. December brings the onset of cooler weather in Tel Aviv. Hanuka, or the Festival of Lights is one of the happiest Jewish holidays. It is celebrated by lighting candles every night for 8 days, eating fried food such as sweet donuts (sufganiyot) and potato pancakes (latkes or levivot). The city offers lots of events for kids and adults. In Jaffa, the Arab Christian community and many of Tel Aviv’s foreign workers celebrate Christmas. Midnight mass services are held in Jaffa’s many churches and the Jaffa flea market and port area are decorated with Christmas lights.